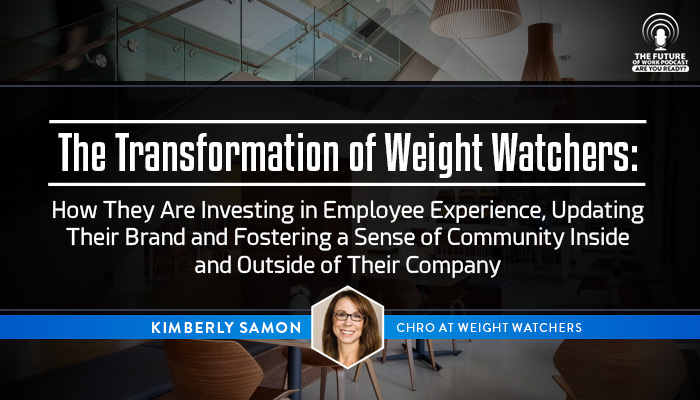 Kimberly Samon is the Chief Human Resources Officer at Weight Watchers. She has more than 20 years of HR experience in the Retail industry. Previously Samon was at KSL Advisory Services, a private Corporate Strategy and Human Resources Consulting firm providing expertise to companies on all facets of their business. Before assuming that position, she held top HR and Strategy executive roles with Simmons Bedding Company, Frito-Lay, HQ Global Workplaces, Lacerte Technologies, and Kinko’s (now FedEx Office). Samon holds a Bachelor’s degree in Industrial and Labor Relations from Cornell University, a MBA in Management from Mercer University, and a JD with a focus in Labor and Employment Law from Stetson University. Weight Watchers started in 1963. With over 18,000 employees, it is the world’s leading commercial provider of weight management services, operating globally through a network of Company-owned and franchise operations. In the more than 50 years since its founding, the company has built its business by helping millions of people around the world lose weight through sensible and sustainable food plans, activity, behavior modification and group support. Weight Watchers has gone through a major transformation over the past several years. When Samon started working there the industry was in turmoil, but they have found a way to refocus their brand and in turn they have seen the company return to success. It started as a company that was solely focused on weight loss, but now it is a company that looks at the overall well-being of their clients. It is not just about losing weight, it is now about being your healthiest self–physically, mentally and emotionally. Samon believes that instead of thinking of work-life ‘balance’, it is important to think of it as work-life ‘integration’ – we need to give ourselves permission to not work 24 hours a day. For instance, Samon will go to events during her children’s school day but then will work later in the evening. What will leadership skills look like in 2025? The fundamentals like communication will remain the same and results orientation is always going to be fundamental to organizations. Now people want to be attached to a purpose, and a meaningful mission. So how people show up may change but fundamentals won’t change. Samon’s advice for employee skill sets are to have technology skills, be agile – as a way of thinking. and have the ability to collaborate. 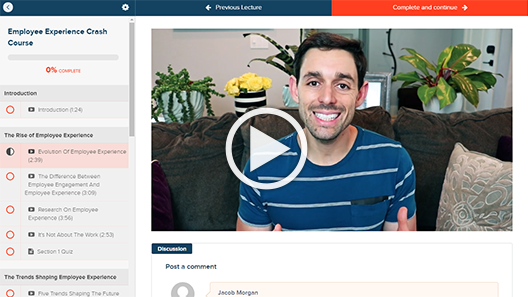 Want To Hear More On Human Resources?